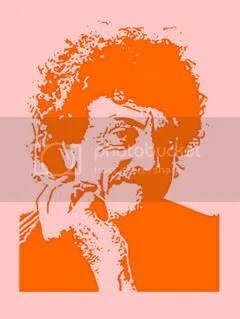 Kurt Vonnegut, whose dark comic talent and urgent moral vision in novels like “Slaughterhouse-Five,” “Cat’s Cradle” and “Player Piano” caught the temper of his times and the imagination of a generation, died last night when in Manhattan. He was 84. Not bad longevity considering that he claimed to have smoked Pall Malls since age 14. I remember my discovery of Vonnegut. It was the summer of my 13th year. I was going into eighth grade that year, and had found Cat’s Cradle on my parent’s bookshelf. I think it took me all of a day to read the book. And after that I was completely hooked. I read everything I could find by him before school started. Fortunately, my parents encouraged a variety of viewpoints, loving debate and discussion more than absolutes. They thoroughly encouraged my evolving literary tastes. No so, for everyone. In Palm Sunday, he wrote about his view of censorship. No wonder, as he wrote his share of banned books. Additionally, Kurt Vonnegut was a Humanist, which unquestionably entitles him to a special place in my heart. (For info on Humanism, you can check out this page. If you have continuing questions, feel free to ask me in comments, or simply Google Humanism for yourself.) So who knows where Mr. Vonnegut might find himself today. Wherever it may be, I hope that it is as unique and thought provoking as the man himself. It saddens me that I will never again be able to discover a new Vonnegut book. Thankfully, they were inspiring enough to warrant many a re-visit. Thank you, Mr. Vonnegut. “Reverend, we have a little problem. I heard the English teacher is planning to teach that book. Slaughterhouse Five. Isn't that an awful name? That's a great book…Slaughterhouse Five. It's, it's a classic. - In another town it's a classic. About 20 years ago for Christmas, my father gave each of his children a signed classic book. I got a Slaughterhouse Five personally signed by Kurt Vonnegut. I hate to admit it, but I have never read it. Guess I should, eh? Oh, Dave. I’m so disappointed. No, not really. But is a great book. If I were you, though, I’d read an unsigned version to keep the other in good repair. I read Slaughterhouse Five in elementary school, I think. Catholic elementary school. It seems like it couldn’t be true, now that I think about it, but I really do think that I did. I remember that I liked it. I need to check out more of his books.